Για εκείνους που θέλουν να απολαύσουν τα αξιοθέατα και τους ήχους της πόλης Σεούλ, το Makers Hotel είναι η ιδανική επιλογή. Από εδώ, οι επισκέπτες μπορούν να έχουν άμεση πρόσβαση σε όλα όσα η πόλη έχει να προσφέρει. Από τη βολική της τοποθεσία, η ιδιοκτησία προσφέρει εύκολη πρόσβαση σε κορυφαίους προορισμούς της πόλης. Όλα γίνονται με γνώμονα την άνεση των επισκεπτών. Για τον σκοπό αυτό, η ιδιοκτησία προσφέρει ό,τι καλύτερο όσον αφορά τις υπηρεσίες και τις παροχές της. Τα δωρεάν WiFi σε όλα τα δωμάτια, φύλαξη αποσκευών, ασύρματη σύνδεση Wi-Fi σε δημόσιους χώρους, καφετέρια, υποδοχή είναι μόνο λίγες από τις εγκαταστάσεις που κάνουν το Makers Hotel να ξεχωρίζει από τα άλλα ξενοδοχεία στην πόλη. Το ξενοδοχείο διαθέτει 42 όμορφα διακοσμημένα δωμάτια, πολλά από τα οποία περιλαμβάνουν κρεμάστρα ρούχων, δωρεάν καφές φίλτρου, δωρεάν τσάι, καθρέφτης, παντόφλες. Εξάλλου, το ξενοδοχείο διοργανώνει πολλά ψυχαγωγικά δρώμενα έτσι ώστε να έχετε πολλά πράγματα να κάνετε κατά τη διαμονή σας. Όποιος κι αν είναι ο σκοπός της επίσκεψης σας, το Makers Hotel είναι μια εξαιρετική επιλογή για την διαμονή σας στη Σεούλ. Η ρεσεψιόν λειτουργεί από τις 07:00 έως τις 01:00. The staff were so kind, and the place was perfect! Oh, thank you for taking care of breakfast with 20 minutes left. Though I arrived after 11 p.m., I was moved by the kindness of staff and was very grateful. The opposite side of the hotel was better because it was Iksun-dong, and it was really nice to have a look around Insadong. It's the best hotel. Some reviewer said they are locates at Jongno Sam-ga Exit 3. WRONG. Exit 4 is correct. This exit has escalators. If you use at Exit 3, you will be lugging your baggage up a LONG flight of steps. The subway station is so central and it gets us to Incheon, Gimpo and all the tourist sites easily. The hotel is located opposite a small bukchon village with lots of cafe and a 5-10 min walk from Insadong art street. Location is excellent, because the hotel is right outside exit 4 of Jongo-3 station, and this station is at the intersection of 3 subway lines. However, as the hotel is only 10-levels high and in a crowded location, it can get pretty noisy at night and you can hear people clearly talking on the streets. room is a little small for 2 people's luggage space and the bed is not as soft as a standard hotel but it's definitely clean. It's in a great location in the heart of the city. You're in walking distance to lots of cool stuff. The staff are super friendly and helpful. The place has a classy feel to it. The room was quiet and I had a good night's sleep. Nice and clean, too. Nice breakfast bar in the basement, too. Excellent location, not only because it's close to subway station, it's also a good place to discover city life of Seoul in urban atmosphere. Staffs are friendly and helpful. Among a few things which can be improved is rooms' insulation. Besides, because the hotel doesn't offer laundry service, if there is information about self laundry services in the neighborhood on hotel's website would be helpful. 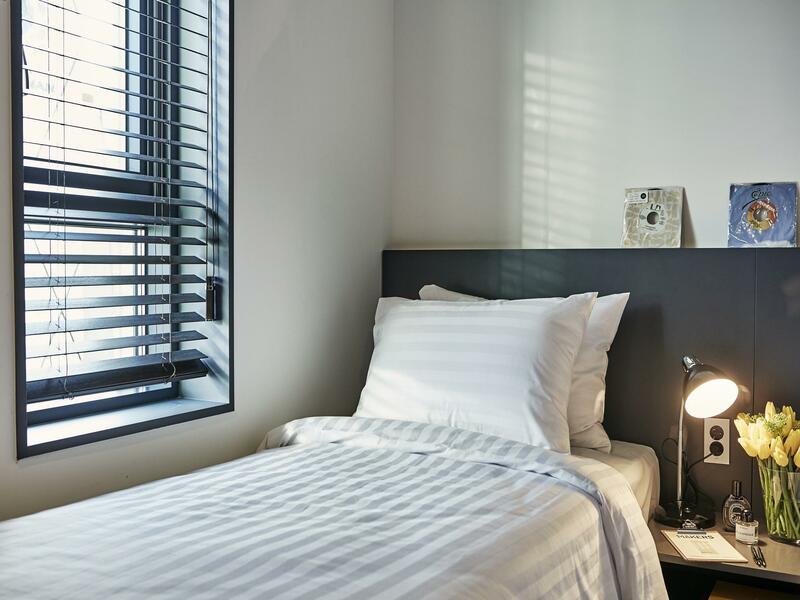 Conveniently located in the Jongno area, there is access to the subway just outside and plenty of authentic korean restaurants and street vendors in the immediate vicinity. The traditional folk village is just outside as well, with two of the city’s palaces within twenty minute walking distance. The staff were very accommodating and the rooms are lovely. The hotel is located in front of the subway train station Jungno 3 ga exit 3. The room is always clean and tidy. If you dont know where to eat, you may ask the receptionist or you may refer to the book at the lobby. There is a famous restaurant right in front of the hotel. Only open for dinner. Overall, we are happy with the stay. I enjoyed my stay. It was quiet, clean and located close to insadong and lots of galleries and museums I wanted to visit. The room had a neat, minimal style and I slept very well. I would certainly stay here on my next visit to Seoul. Everything is perfect, except the bed is not that comfy and the wall is too thin. I can hear shower and noise all the time! The front desk staffs are super friendly and helpful!!! Excellent place with super friendly staffs!! Hotel is located just in front of the subway exit! Will recommend my friends and family here again! Great location! Just steps away from a subway station(jongno3ga). Really close to Insadong, accessible by walk to bukchon Hanok village, palaces. Ikseondong, the new place to be for beginner foodies and cafe addicts, is just across the street ! Room was small but clean. The downside was that their lobby(near the elevator) smelled a bit like piss, and they don’t have any parking spaces. 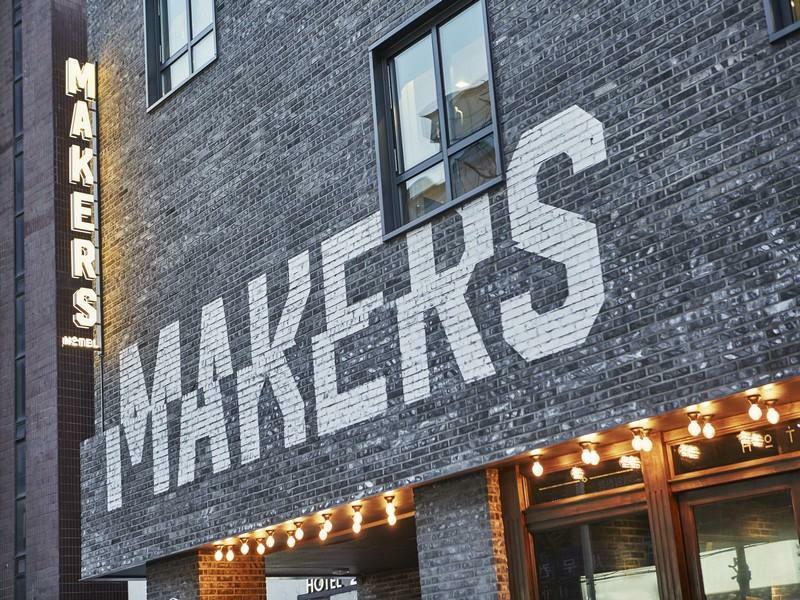 Makers Hotel is an excellent choice for anyone looking for comfort, accessible luxury and convenience. It's located right beside the metro as well as right at the doorstep of some of the best coffee houses I have ever been to. There is countless dining options that are open late at a walking distance as well as two very important royal palaces. I need to thank Mike at reception because he really made our stay - his passion and enthusiasm at helping us find exactly what we needed at any time was incredible (make sure to ask for Mike and get his recommendations on where to eat!). The next time I'm back in Seoul I will 100% stay at Makers. I’ll choose Makers Hotel again when I visit Seoul. I told my friends that how wonderful the hotel is. The old-school style is my favorite. I thought that I was not in a hotel but in a film. I had a great time here. There are many nice and popular bar, Cafe, and restaurant near by Makers Hotel. I visited some and I love it. Thank you, Makers Hotel! This is my second time staying in Makers hotel and still love the scent in the lobby. The front desk is friendly and welcoming. Definitely will give it a third visit! Room size was just right for a couple. Staff is very helpful. They even have a binder of food suggestions. Though their breakfast could be better. Very central location - see Exit 4 of Jongno 3-ga subway station outside my window. Lobby very nicely decorated and room modern. Location of the hotel is great, very closed to MRT (right in front of the hotel is exit#4 at Jongno 3 Gil station) and Iksoendong. Staff is very kind. When we checked out, it was heavy rain. The front desk helped us calling a cab and kind enough to carry an umbrella to send us off. Very impressed. Definitely come back again next year. located near Iksun-song that has many antique cafe and restaurant. Hotel has no add-facilities but it's Ok because it's not a big-chain hotel. many restaurant and convenient store are close to the hotel. room is small but cozy and has nice design. staff are all good. Σταθμός Υπόγειου Σιδηρόδρομου Jongno 3(sam)-ga στα 0.31 χλμ.